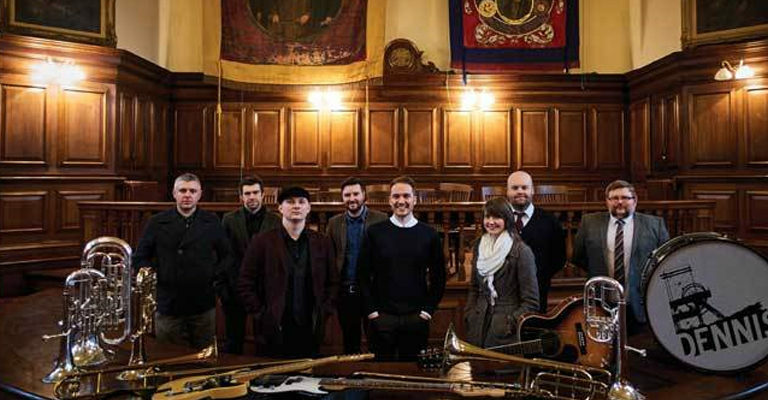 Dennis are a roots folk-rock and colliery brass band octet whose songs about community and the working class have captivated audiences across the country via sold out theatre shows and generous BBC support. Funds from the bands end of year fundraising performances will be donated to Simpsons Special Care Babies (http://www.sscb.org/), the children’s charity dedicated to the care of premature or sick newborn babies and the support of their parents; a cause dear to Dennis. Other performances on the night will come from seven piece indie-pop band ‘Picnic’ and the art-rap / brit-hop / analog-electro spectacle ‘Outside Your House’.